There's a restaurant called Fiesta Filipina Cuisine near St. Rose and Eastern that we have been wanting to try and we ended up going there for dinner for dinner on Friday night. Although there are places to sit, you first order the food from the buffet-style counter and then seat yourself. John and I have never eaten Filipino food before so we each picked a plate combo to try a variety of dishes. I cannot recall what we ordered but we enjoyed all of it! The ticket came to $17 for two plates, sodas, and an extra item off the menu -- not bad. 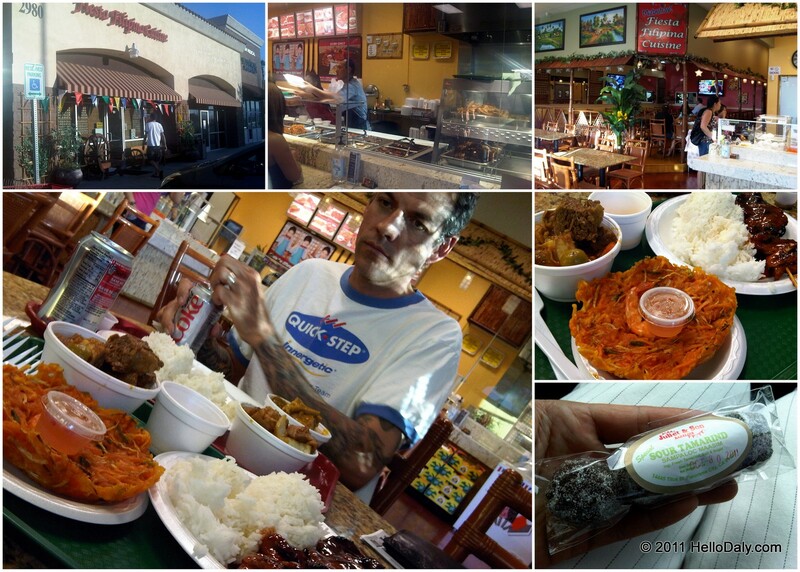 Yum-yum dinner ... and tamarind candy!